Ayurveda suggests pure vegetarian foods to everyone. It always supports vegetarian food habits. Ayurveda diet could lead you to healthy life. 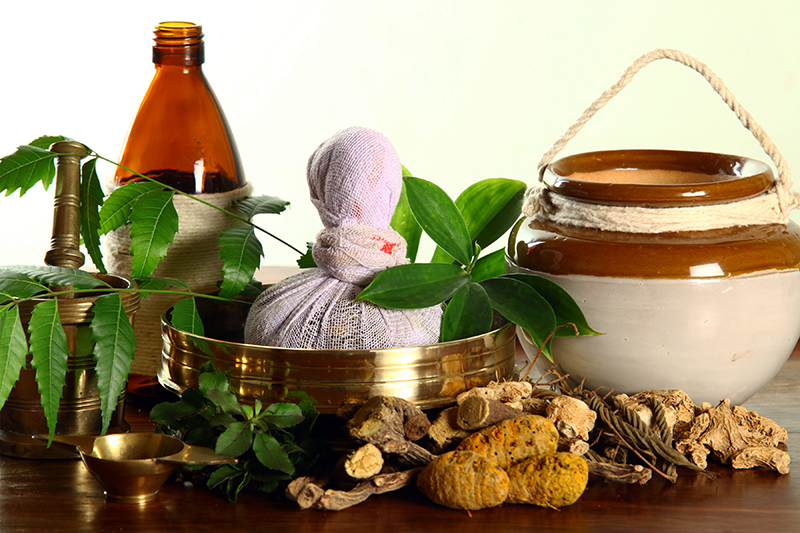 Ayurveda believes only in the natural purity. You’ll be knowing a saying “You are what you eat” and no doubt, it’s a 100% right statement. The life style diseases are the result of wrong routine of foods. The blind imitation to consuming Chinese and Anglican foods would hurt you slowly both physical and psychological. Nowadays, a majority of stomach problems happen in youths due to the unhealthy consume of Chinese and Anglican foods. Fresh food is very important in Ayurveda diet. The best are freshly cooked. Ayurveda have a clear vision on food consuming matter. It depend the very ancient traditional mode of food habits. It has everything that you would prefer from a best diet and medicine suggestion. Ayurveda diets takes the relevance of important tastes. There are six important tastes in Ayurveda. It’s like sweet, sour, salty, pungent, bitter, astringent. Ayurveda has a very holistic approach to diet and food. The Ayurveda diet with the involvement of six tastes would play an effective role to reduce body weight. The Ayurveda diet specially talk about “agni or fire” and agni is a concept in Ayurveda diet. Ayurveda says life is not possible without agni and it has the power to boost life. Agni is an inevitable factor for life and the agni concept in Ayurveda is a world wide accepted reality especially in Europe. The main source of life is agni and it’s a prominent invention of Ayurveda, thousands of years ago. Agni can be define as digestive fire. The Ayurveda diet is deeply rooted with agni concept. Everyone should have careful about the food habits and to keep the digestive fire not to weak. So, in Ayurveda, the agni concept has to consider with much value.